Back in December LG proved it simply couldn't wait for CES to start and basically pre-announced all the smartphones it planned on showing in Las Vegas these days. Among those was the Stylus 3, the successor to the Stylus 2 from last year. And today the Korean company is making essentially the same device official once more, this time for the US market. And like its predecessors, this too will bear some different branding. In America, it will be called Stylo 3 (like the Stylo 2 before it), while other markets will get it as the Stylus 3. 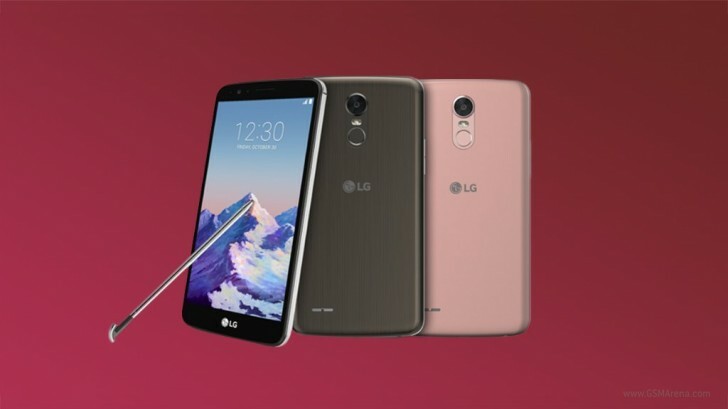 Why LG is continuing to give this line of handsets two different yet incredibly similar names isn't clear, but that's how things are anyway. Like the identical Stylus 3, the Stylo 3 comes with a 5.7-inch 720p touchscreen, the MediaTek MT6750 chipset with a 1.5 GHz octa-core Cortex-A53 CPU, a 13 MP main camera, an 8 MP selfie snapper, 3GB of RAM, 16GB of expandable storage, 4G LTE support, and a 3,200 mAh removable battery. It runs Android 7.0 Nougat, a welcome sight in the mid-range smartphone territory. Its dimensions are 155.6 x 79.8 x 7.4 mm and it weighs 149g. It (obviously) comes with a stylus, but also a fingerprint scanner and FM radio. It will be available in Metallic Titan and Pink Gold. Pricing and a release time frame are still mysteries for now. LG have a nasty habit to make phones with relatively small size batterries. Phone with 5.7 screen need 3500+ battery. very good phone....same on galaxy note 5 and demised note 6. lg keep up it. I do not think it's a good deal.